Real Estate Agent - Residential Realtor Specialties: Listing Agent, Relocation, Buyers Agent, Consulting, Negotiating Kevin is an San Diego native, husband, father, business man and avid outdoors man and history enthusiast. His mother was an educator and professor, archaeologist and writer. His father was in the Navy for nearly 30 years, a firefighter, engineer, machinist, manager an eventually recruiter. Having grown up in Southeast Asia, Hawaii, Japan, the Philippines, Kevin just naturally developed an avid interest in interacting with, understanding and respecting different cultures. When he partners with a client it is a relationship, which both parties benefit from. He is a quick study and prides himself on anticipating clients needs. Active listening is a skill he has developed over the years, in conjunction with asking the right questions. His experiences while serving in the Navy while managing the pharmacy at the Naval training center in Point Loma in San Diego, taught him well the lesson of being a good listener, giving honest and forthright answers, and then taking decisive action. It is this skill that has lead to his success as a Real Estate agent. He daily takes his God given talents and puts them to work serving others in an energetic and enthusiastic way, with forthrightness and integrity. As well, he capitalizes on his large network of friendships, associations and human relationships, gathering information as well as others wisdom to gain the foresight to make wise investment decisions as he guides his clients. Kevin partners with his clients, consulting with them, negotiating for them, and handling all the details for them seamlessly. His positive, "Can Do Attitude," goes a long way in getting things done properly, in the time frame needed, with relative ease and low stress. Buying and or Selling a home is one of the three greatest stresses in life, second only to death of a spouse and divorce. He is always available on the phone text or email, and is here to make that transaction feel relatively easy and pain free as you transition into your new home. He is there beyond the new home transaction and is always available for his friends and clients. "It is my major purpose that my clients be so Outrageously Happy with the High Level of Service and Results that I provide you, that you just naturally and gladly introduce me to at last two people (just as nice as you) who you care about that would appreciate the same high level of service and results. "Bottom line, I am going to get the job done properly for you and not let you down period." Kevin fully commits himself to his client's goals. Your dream house in the neighborhood you want for the price you want in the time frame you want is his goal. He is aware of and understands economic cycles and market fluctuations and that home values double nearly every ten years in areas of high demand. San Diego historically has been an area of high demand and will continue to be in the future, for it's climate, its technology, it's industry, it's military presence, it's location geographically and most importantly demographically - with it's multicultural population and workforce. As a native San Diegan, I celebrate that diversity and pride myself in knowing and working in every municipality and price point in America's Finest City. He is there to guide and help buyers and sellers in making wise decisions. Additionally, Kevin has been active in the Boy Scouting community, working as an assistant scout master and high adventure leader for over a decade, teaching communication, leadership and organizational skills to young men and women who will carry our country into the new millennium. Kevin received his undergraduate degree from San Diego State in English literature and has an equivalent science degree in Pharmaceutical sciences from the Naval School of Health Sciences. 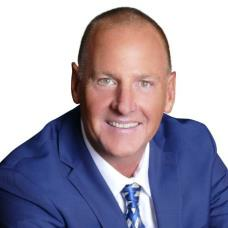 Prior to devoting his skills as a Realtor and Trusted Adviser, he held a professional role in advertising and Multi -Media as a business owner of Merlin Embroidery in La Mesa, Ca for nearly 25 years, a business that is still growing and thriving with the leadership of Jeremy Hall, young prodigy, now shop manager. Prior to that Kevin worked in Healthcare for 18 years at the Inpatient Pharmacies at Balboa, Kaiser and Sharp Memorial hospitals and San Diego, as well as a research technician at UCSD in the Neuro-Anesthesia laboratory in La Jolla, Ca. Listening carefully to clients goals and needs, understanding the next course of action and exceeding expectations to get results are the hallmark of his conduct. Integrity, creativity and aggressive negotiation are his trademarks. "I believe in building my business one relationship at a time, starting with You!"